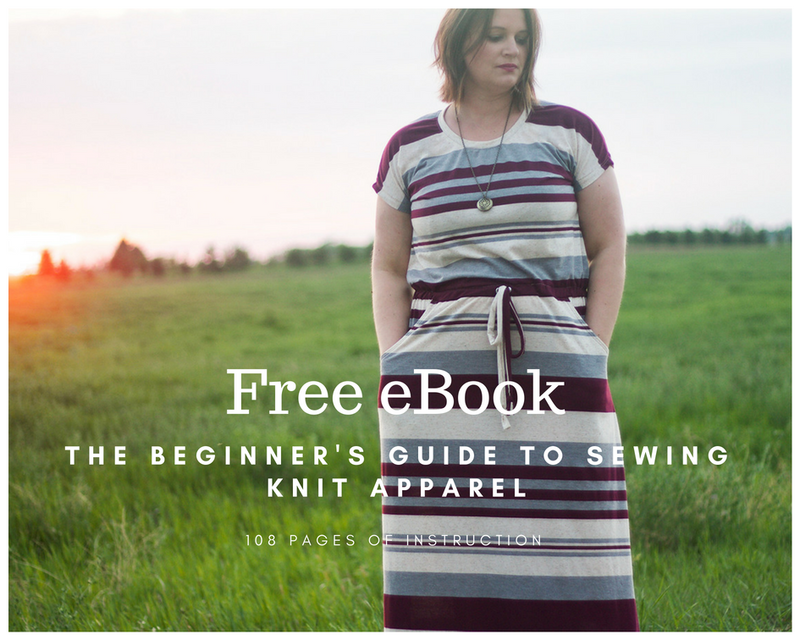 Welcome to the thirteenth lesson in the Beginner’s Guide to Sewing Knit Apparel! Download the ebook for free! 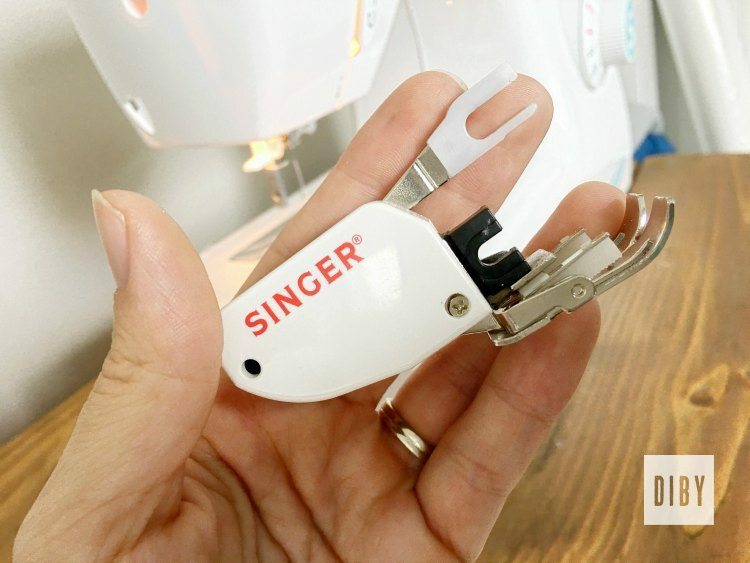 By now you should be completely comfortable whipping out a PDF sewing pattern. But if you are new to this addictive PDF pattern world, you may not know about add-on patterns. Add-on patterns aren’t available from all pattern makers but they can be pretty helpful if you spot one. Add-on patterns are patterns that you can add-on to base patterns. Imagine that? They can usually be used with multiple base patterns too. So let’s check out some examples of add-on patterns. Now as most of you know, I’m currently what feels like 27 months pregnant. 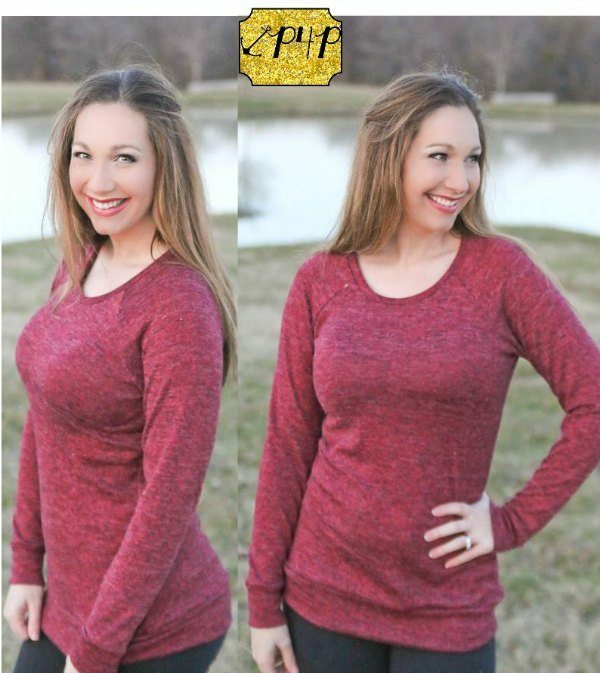 And there are some maternity only PDF patterns available out there, but quite frankly I’m too cheap to spend money on a pattern that will only work for me when I’m pregnant. This is where maternity add-ons make me all sorts of happy. Editor’s Note: Enjoying these add ons for the pregnant ladies? We even have a Maternity Jeans Hack Pack! The bump is fully covered now, yay! Now while this hack pack/add-on is specifically made for the Claiborne base pattern, it can certainly be used to hack other base patterns into maternity clothing. FYI we have bunches of maternity and nursing patterns. You can see them all here. Pssst! 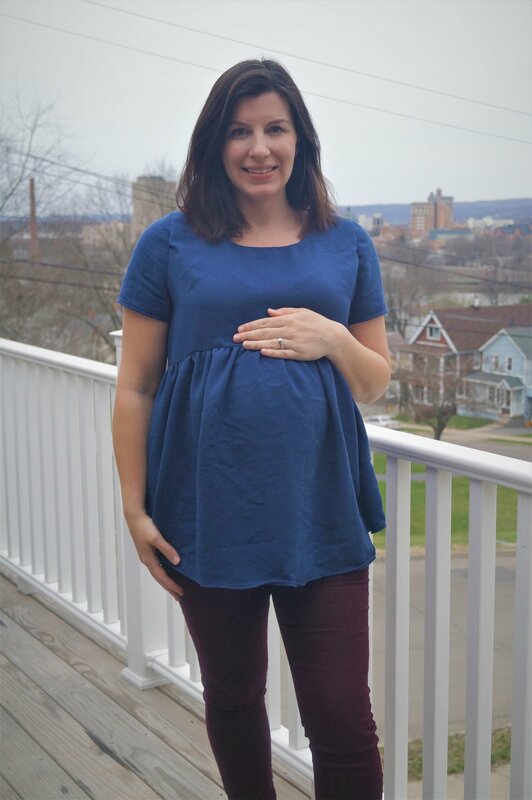 I did a sew along for making your own maternity shirt using the Layer Me Up Pattern by Patterns for Pirates. 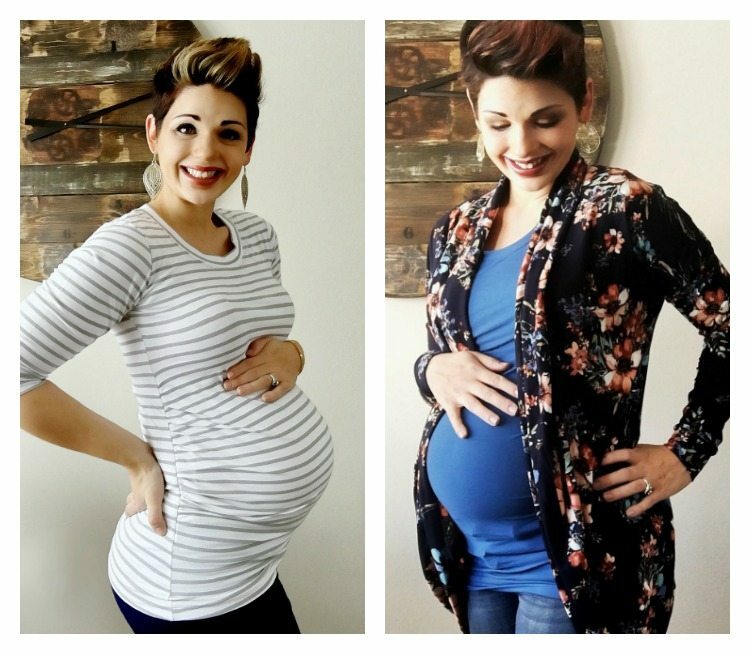 Check out the post here if you are preggers like me and want to make some seriously cute maternity clothes at a fraction of the price of store-bought stuff. The list of other available add-ons really is up to the imaginations of our dear pattern makers. A few popular ones include additions such as hoods and pockets. Let’s use a Patterns for Pirates pattern as an example this time. As you can see, the add-on pack gives you a traditional hood option, a crossover hood, a cowl neck, three funnel collar options, a kangaroo pocket option, inseam pockets and thumbhole cuffs. Whoa!! Now your shirt pattern has at least a dozen more option combinations to choose from. Not to mention that this add-on pack works with more than one base pattern. 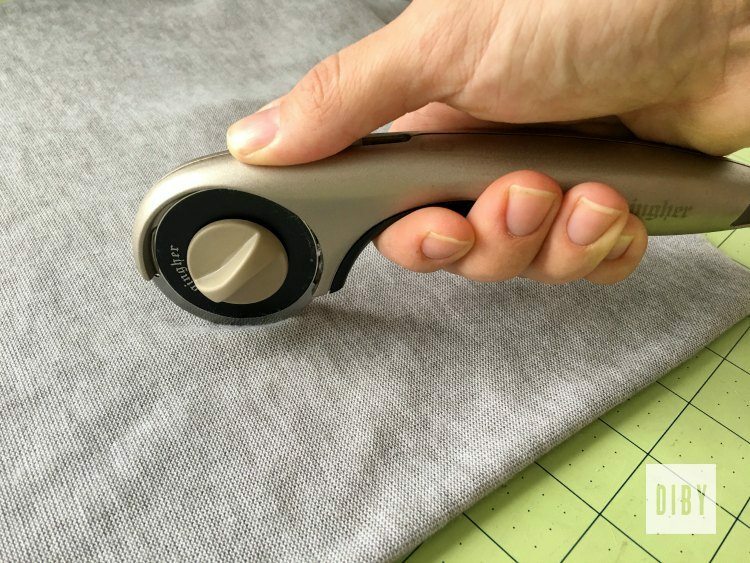 So when you are shopping for your first few PDF knit sewing patterns, keep an eye out for add-ons. Ooooo I bet you’re itching to start your first project by now! You’re almost finished with this course. Next up, Understanding the Markings on Sewing Patterns.